Jeanette joined OMB in 2013. 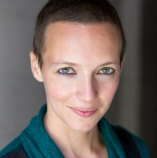 She received her BA in Theater from Trinity College in Hartford, CT. She has performed with Magic Futurebox Productions, Ars Nova ANT Fest., and Manhattan Theatre Source. Her solo show, "Love. Guts. High School." premiered in the 2012 Midtown International Theatre Festival and won nominations for Best Actress and Best Solo Show. 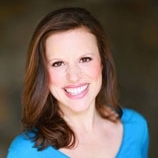 She performs weekly with the Improv troupe National Comedy Theater, and is a licensed NYC tour guide; when not acting, she can be seen introducing newcomers to the joys of New York! Jonathan joined Only Make Believe in 2016. DC stage credits include: The Freshest Snow Whyte (Imagination Stage); Redder Blood (The Hub Theatre); Antigone Project (Rep Stage); As You Like It (Annapolis Shakespeare Company); Flowers Stink (Kennedy Center); The Call (Theater J); Passion Play, The ‘T’ Party, 9 Circles (Forum Theatre); A Few Good Men (Keegan Theatre); A Little House Christmas (Adventure Theatre MTC). He is a graduate of the Academy for Classical Acting at GW. NEXT UP: Jonathan will be music directing Peekaboo! (The Hub Theatre), and appearing in Charlotte’s Web (Imagination Stage). Laura C. Harris joined Only Make Believe in 2017. Her DC-area credits include Cloud 9, Red Speedo, Time Stands Still, and Bachelorette at Studio Theatre, The Flick and Tender Napalm at Signature Theatre, Love and Information, Passion Play, World Builders, and Amazons and Their Men at Forum Theatre, NSFW, Seminar, Young Robin Hood, Amadeus, and 26 Miles at Round House Theatre, Awake and Sing! at Olney Theatre Center, Our Class at Theater J, Vicuña & An Epilogue at Mosaic Theater, and The Winter’s Tale and The School for Scandal at Folger Theatre. Laura graduated from Middlebury College. More information can be found at her website: www.lauracharris.com. Diego started with OMB in 2010. Born & raised in Washington DC where regional theatre credits include Damn Yankees, Cabaret & Senor Discretion, Himself (Arena Stage), Assassins, Witches of Eastwick & Saving Aimee (Signature Theatre) Willy Wonka, Barrio Grrrl!! & Brand New Kid (Kennedy Center) and he was last seen in Oklahoma City’s critically acclaimed Ragtime. Favorite roles include Sancho – Man…Mancha, Booth - Assassins, Riff Raff - Rocky Horror, and Molina - Spider Woman. 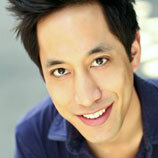 Diego is a proud member of Actor’s Equity and loves his Only Make Believe family! Erika joined the Only Make Believe in Washington D.C. in 2017. 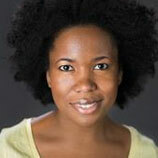 Her credits include The Father at Studio Theatre; An Octoroon at Woolly Mammoth Theater; Falling Out of Time at Theater J; Oliverio!, Knuffle Bunny and The Brand New Kid at The Kennedy Center; Pippin and The Book Club Play at Round House Theater; Unexplored Interior at Mosaic Theater Company; Users Guide to Hell: Featuring Bernard Madoff at Project Y (NY); Ruined at Philadelphia Theater Company; In Darfur at Theater J (Helen Hayes Award, Outstanding Lead Actress). Dave joined OMB in 2007. Theater: Bike America (Ma-Yi), Awake and Sing! and A Dream Play (NAATCO), Dojoji: The Man Inside the Bell (Pan Asian), Hello, Dolly! (NAAP), The Way West (Lark), Crane Story (Playwrights Realm), Honor (Prospect), Sake with the Haiku Geisha (Gotham), Three Sisters and The American Clock (HBPF), The Tempest (Public). Television: “Golden Boy,” “Blue Bloods,” “Are We There Yet?,” “Late Night with Conan O'Brien,” “Law & Order: SVU,” “All My Children,” “As The World Turns.” Film: The Amazing Spider-Man 2, Petunia, Old 37, Saving Face. John Sygar is thrilled to be joining the Only Make Believe D.C. Company. His D.C. credits include: Signature Theatre: Light Years;Imagination Stage: Robin Hood; Next Stop Theatre Co: East of Eden,Urinetown, Assassins; Constellation Theatre Company: Peter and the Starcatcher (Helen Hayes Award Best Ensemble); 1st Stage: Floyd Collins; Keegan Theatre: Ice Child; Adventure Theatre MTC: Knuffle Bunny, Garfield (Helen Hayes Nomination Best Supporting Actor) Pinkalicious, Artcentric: Jesus Christ Superstar. Education: BM Catholic University, London Dramatic Academy. Sora joined Only Make Believe as an actor in 2011. Originally from Korea, Sora received her Masters of Fine Arts in acting from the Academy of Art at the University of San Francisco. 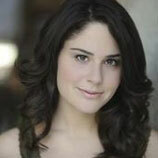 Her acting credits include Who's Afraid of Virginia Woolf, Odd Couple (Female Version), and A Midsummer Night's Dream. 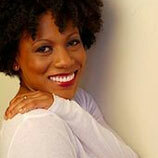 She has worked with Emmy Award-winning directors Joseph Sargent and Robert Butler. Sora has received a Best Actress Award at the Epidemic Film Festival in San Francisco, CA and also at a theater festival in Korea. Megan joined Only Make Believe in 2015. Her DC credits include The Little Foxes (Arena Stage); A Midsummer Night’s Dream, The Second Shepherd’s Play (Folger Theatre); Peter and the Starcatcher (Constellation Theatre Company); Passion Play, Clementine in the Lower 9 (Forum Theatre); Redder Blood (Helen Hayes Nomination, The Hub Theatre); The BFG (Helen Hayes Award), The Night Fairy, The Magic Finger, Inside Out (Imagination Stage); Peter and the Starcatcher (Virginia Repertory Theatre). 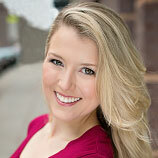 Megan received her BFA in Theatre from Shenandoah Conservatory. Current: Junie B. Jones Is Not a Crook (Adventure Theatre MTC). Jack Novak is an actor, playwright, improviser, and teaching artist based in Washington D.C. His credits include Perfect Arrangement (Source Festival) Blue, Aquarium, Brother Bear, and The BFG (Imagination Stage), Pinocchio! (Faction of Fools), Wild Oats and A Christmas Carol (Chesapeake Shakespeare Company), and Stone Tape Party (Nu Sass, Fringe Festival Awards for Best Comedy & Best Overall). He has also performed with Commonwealth and other teams at Washington Improv Theatre. Alyssa is the recent recipient of the Helen Hayes award for Best Lead Actress in a Play for her role as Maggie in Cat on a Hot Tin Roof, as well as a Best Ensemble and Best Production win for Come From Away, now running on Broadway. Current/Upcoming shows:The Return at Mosaic Theater. Digging up Dessa: Kennedy Center (2018) Botticelli in the Fire: Woolly Mammoth Theater (2018) Other credits include: Fickle: A Fancy French Farce: Olney Theater Center, Bad Dog: (OTC), The Night Fairy: Imagination Stage, Richard III: Folger Theater, Late: A Cowboy Song: No Rules Theater Co., Becky Shaw: Roundhouse Theater, Contractions: Studio Theater, The History Of Invulnerability: Theater J, Stop Kiss: No Rules Theatre Co. Alyssa received her MFA from The Shakespeare Theatre Company’s Academy for Classical Acting. Anthony started acting with Only Make Believe in 2006. He has performed in shelters, adolescent correctional facilities, Off and Off-Off Broadway houses. Past roles include Jacques Roux in Castillo Theatre's production of Marat Sade and the title role in William Shakespeare's Othello at Studio 4A. He has also danced with performing companies in schools throughout the Tri-State area, as well as, at Symphony Space, Joyce Soho and Jacobs Pillow. Additionally, Anthony has directed plays for National Theater for Arts & Education that toured middle schools throughout the United States. Mark Friedlander (AEA) has been an OMB company member since 2010. 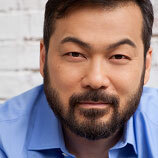 He received his BA in Theatre from the University of Southern Maine and has performed with theatres in NYC and regionally, including Portland Stage Company, People’s Theatre Project, Connecticut Free Shakespeare, American Shakespeare Theatre, and on 4 national tours. He also works with the Department of Justice, training professionals to interview and protect children from abuse. Maria Peyramaure joined OMB in 2018 and is a bilingual stage, voice-over, film and commercial actress. She has worked with IATI Theater, AENY, EgoActus, Repertorio Español, The Jewish Plays Project, INTAR, The Mint Theater, Boomerang Theater Company, Overturn Ensemble, Teatro Thalia, Georgia Shakespeare, The Alliance Theater, Two River Theater, and many others. She is a recipient of an HOLA Award for Outstanding Performance of an Ensemble (Días Estupendos, AENY & IATI) and an ACE Award nomination for best comedic actress. Maria also works regularly as a Healthcare Pediatric Clown and a teaching artist. www.MariaPeyramaure.com. Joined OMB in 2008. 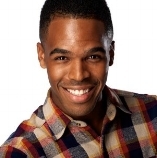 Works as an actor, choreographer, director, teaching artist and producer. Theatres and companies he has worked at include: HERE Arts Center, NAATCO, Prospect Theatre Company, Ma-Yi Theatre Company, Walnut Street Theater, Millbrook Playhouse, McCarter Theater, Gallery Players, PCPA Theaterfest. 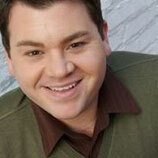 Favorite shows he has worked on include: Julius Caesar, ...Forum, How To Succeed…, Three Sisters,The Full Monty. Serves as Education Associate for the Vineyard Theatre. Member of Leviathan Lab. Education: BFA Musical Theater, Point Park College; Pacific Conservatory of the Performing Arts. Recent projects include: associate producing the Career Transition For Dancers Gala, Trade Practices - Andrew (HERE Arts Center), and A Dream Play - Schoolteacher, et al (NAATCO).